Elon Musk and his fantasy car company Tesla were in the news with a strange story. 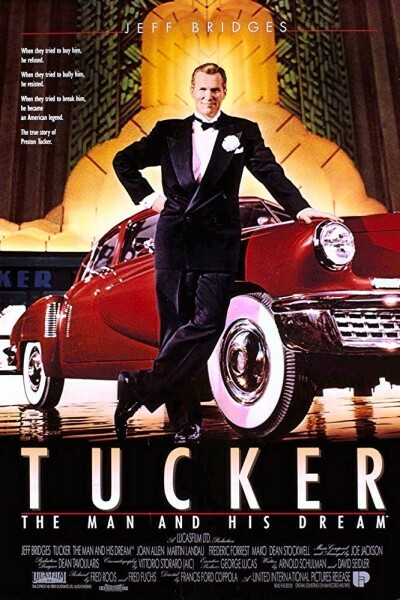 It reminded me of the movie Tucker when the 1950’s car company was taken to court for ripping off investors for selling dealerships with no cars. In the days leading up to the trial, Tucker and his band of merry men, cobble together 50 cars to show that he had production capability and his business model wasn’t a scam. Tucker rolled the 50 cars onto the grounds of the courthouse and lost his company anyway. These 50 cars are still in existence today and are among the most desirable collectables. Tesla is burning through its cash at an unsustainable rate. Their credit and stock have been downgraded. Then media reports surfaced a week ago that orders for the Tesla car for the everyday person (Model for $35K) were being cancelled faster that new orders were coming in. Tesla has never hit their promised production goal of ten thousand cars per week. Complicating matters further, Needham notes that its “checks” on the market show that Tesla is experiencing net cancellations of Model 3 orders by customers as “refunds are outpacing deposits.” The analyst believes this trend is accelerating, with as many as 24% of would-be buyers now asking for their money back. In a coup de grace, Needham ends with a point on Tesla’s cash burn. The analyst also notes that Tesla has a $1.5 billion debt payment coming due in 2019. Although Tesla has enough cash in the bank ($2.7 billion, according to S&P Global figures) to cover that payment now, continued cash burn will eat away at it, meaning that by the time Tesla’s debt comes due, it may not have cash on hand to pay it. That implies additional debt issuance (i.e., paying debt with more debt) or stock sales (i.e., dilution) may be necessary to keep Tesla solvent. None of this adds up to much of a buy thesis for Tesla stock—but it may justify a sell. In addition to the above, Elon Musk has been saying stupid stuff on Twitter; especially about the divers that saved the cave kids. Portions of the Internet blew-up yesterday when it was announced that some enterprising fellow on Twitter had found a whole lot full of thousands of Tesla cars. Shortly thereafter, another bunch was found in another city. Aerials of the facility identified earlier today at 500 E Louise Ave, Lathrop, CA…more to come, but I didn’t want to make people wait any longer to see the big picture. Original Twitter activity with photos can be found here. 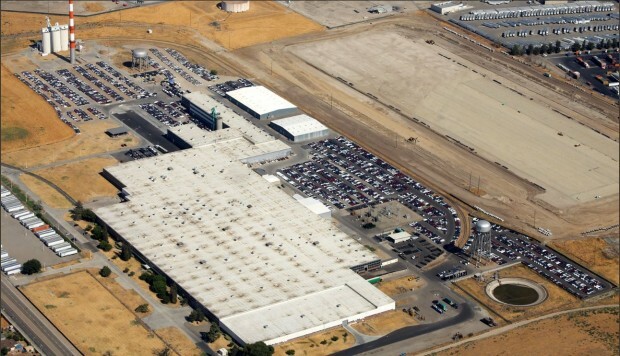 Yesterday, several Twitter sleuths uncovered two parking lots, in Lathrop, California, and the other in Burbank, California, at which several thousand Tesla Model 3s are being stored. The thousands of Model 3 cars are jammed together on dusty lots, baking in the California sun. Approximately 2,500 in Lathrop and another 2,000 in Burbank. And what ever could be the reason for Tesla storing hundreds of millions of dollars of inventory in dusty lots when it instead could be converting the cars to cash, given what it claims is strong demand? Is it logistical chaos? Do the cars need rework? Is it all part of some grand plan? I don’t have the answers, but the questions are not going away. Why Are All Those Tesla Cars Baking In The Sun? Tesla’s (TSLA) grand plan was to avoid hitting the magic 200,000 federal income tax credit limit in Q2. To that end, Tesla would stockpile cars near the end of Q2 so it could unleash them in Q3, as every car it delivers in the U.S. in Q3 and Q4 will qualify for the full credit. Tesla evidently executed the first part of the plan, stopping just short of the 200,000 number as June ended, reporting more than 11,000 Model 3 cars in transit. So, is this just a tax dodge? A Tucker moment to boost faith in the company or what? Remember that Musk has been cutting employees in some parts of his empire and working others like dogs. Tesla has been promising production numbers of ten thousand units a week for the last several years but has failed to deliver. They also absorbed the debt from Solar City. And as shown above, he is in bad shape. As I was researching for this blog, I found an opinion piece that expresses what I was about to say so I will just quote it. This was published earlier today. Just like that, Tesla’s market value plummeted by $2 billion. In November 2017, Bloomberg reported that the company burns through $500,000 per hour. For two years now, Tesla has been suffering an epic talent drain and in May, two top execs — one the liaison with the National Transportation Safety Board — walked out the door. Tesla was founded in 2003, but the world’s largest automakers quickly surpassed Musk’s vision for electric vehicles. Tesla will never catch up. Shareholders are finally catching on. So should the government, which reportedly gifts Musk’s companies with an estimated $4.9 billion in subsidies. Musk is playing games with the Tesla company and that is nothing new. He is a cross between P.T. Barnum, Preston Tucker, and the fictional character played by Danny DeVito in “Other People’s Money”. Musk is using other people’s money to bring a utopian energy dream of environmentalists and Leftists of many stripes to fruition. The reality is that Musk is ultimately going to live or die in the free market. Every time the Establishment types bet on winners and losers, we all lose. Musk is a dreamer and an idea guy. What he sells is smoke and mirrors, the realities of making a profitable product on such a large scale are beyond him but as long as he can keep people investing in the pyramid then it keeps going. The fact that there is no infrastructure to keep the electric car business running is something people are willfully neglecting. You don’t have the freedom to drive Tesla cars anywhere you want. Even in states like New York and California, most of the state has no ability to charge electric vehicles. Also, where is all the electric generation to keep such a fleet of battery operated vehicles going to come from? Especially when most folks will want to charge their cars at night. These same states are outlawing every known electric generation method in existence with the hope that solar and wind will be the answer. But that’s my point, there is no existing reliable form of energy production except technology based on nuclear or hydrocarbon fuels. Liberal energy policy is based on bad science and wishful thinking. The self-driving technology employed by Tesla is a class action lawsuit ready to happen. Sooner or later the government is going to be forced to confront Musk for the safety record of his vehicles. Currently, government is trying to shelter him from the consequences of the deaths caused by failures of his system. How many deaths does it take to call the Tesla product defective? Other automakers and insurance folks are watching this aspect of the Tesla company. This might be the path to the financial ruin of one Elon Musk. That Musk appears to be playing games with Washington to keep the Federal tax credit in place is disturbing. Again, at some point the government giveaways will end and he will have to stand on his own two feet. Some day soon, the free market will decide Musk’s fate. Donald Trump winning the 2016 election was his worst financial nightmare. Had Hillary Clinton won, the floodgates of government incentives would have flowed to Musk for decades. 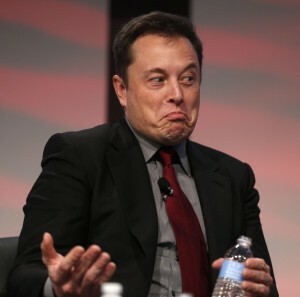 California’s mandate that all houses built after 2020 must have solar will benefit Musk but it’s not enough to bail-out the Solar City albatross that he wrapped around the necks of Tesla investors. Musk is running out of time, money, and excuses. Lucky for him, Mars is a nonextradition planet. 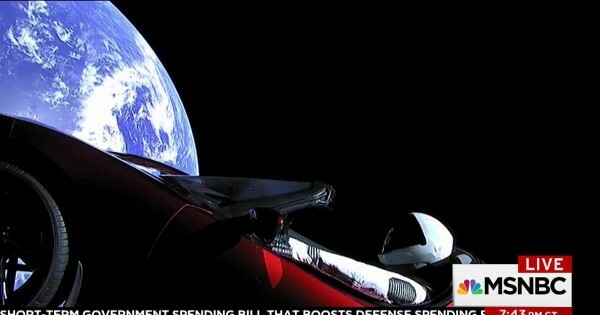 At least he might utilize SpaceX for a unique exit strategy for his financial problems.